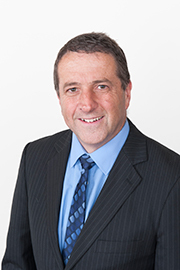 Cr Andrew Conlon has been a Councillor at Manningham since 2016 and is a representative of the Mullum Mullum Ward. He was Mayor of Manningham during 2017/18. Cr Conlon and his wife have been blessed with 8 children and his family have been Manningham residents for more than 13 years, living in Park Orchards and then Warrandyte. The fires of February 2014 gave him a renewed appreciation for the work of the CFA volunteers. Cr Conlon is keen to maintain the Green Wedge and believes in a more collaborative and proactive approach to addressing bushfire risk. Cr Conlon is an electrical engineer and manages an online retail business. He has previously served as co-ordinator of Donvale Dunkers basketball club and board member of Donvale Christian College. He believes in governance with integrity, transparency and accountability and that Councillors need to listen and work hard to support community, sports clubs, families and older residents and make our community safe and secure for everyone. Cr Conlon is also a member of Council’s Municipal Emergency Management Planning Committee, Municipal Fire Management Planning Committee and Municipal Association of Victoria.